The iPad mini with Retina Display kicker? That amazing 7.9" display carries the same resolution as the larger iPad. That's right, 2048x1536 pixels amounts to 326ppi pixel density, a record feat on a device that is basically all screen. 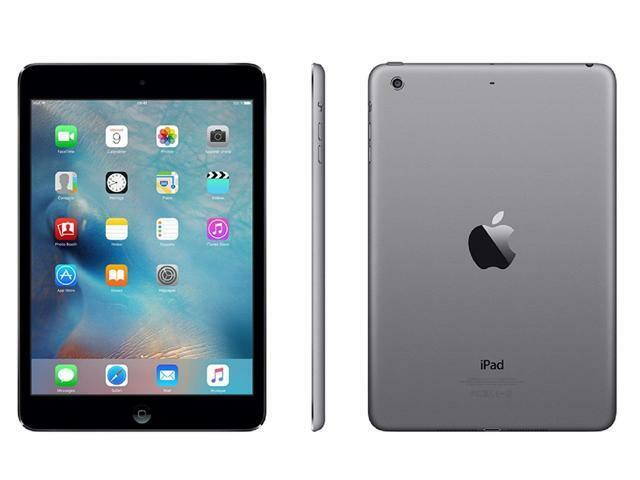 Neither Nexus 7, nor the G Pad 8.3 can match this, but it's up to you if the premium design and the extra pixel density are worth the $399 starting price Apple is commanding for the iPad mini with Retina Display. Bear in mind that it is also incredibly thin and light, and all of that is achieved from an aluminum-crafted chassis that comes in the trendy Space Gray color now. This item is covered by Certified Refurbished Store Return Policy.